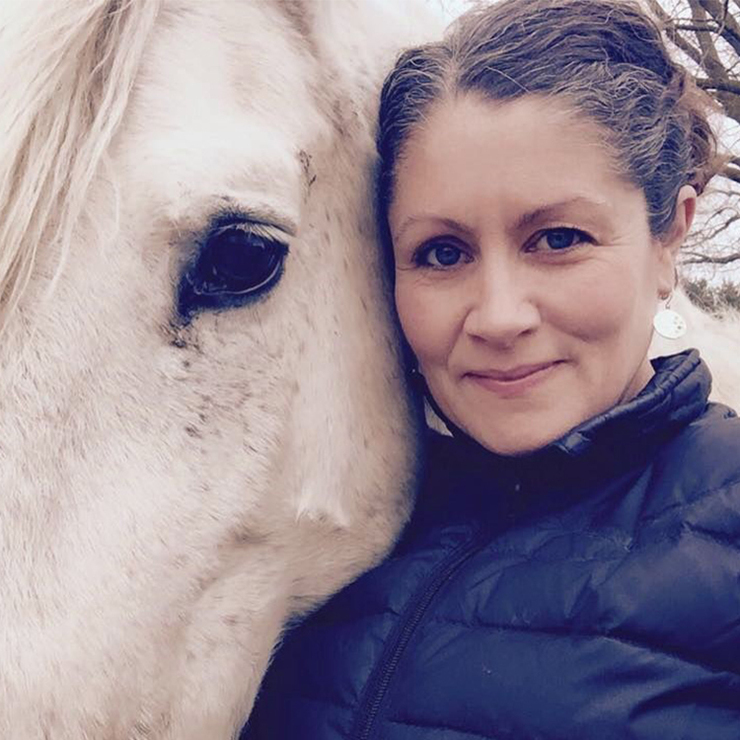 In 2010, Jen Digate adopted a traumatized, fifteen-year-old mustang. Tarot had been gathered from the wild as a mature stallion, having spent his entire life solely in the company of other horses. Each year of captivity, for six years, he went through one new home, until that home decided he was too difficult to handle. For his seventh home, he landed with Jen. Armed with the science of positive reinforcement, open expectations, and a video camera, Jen began the slow and patient work of teaching Tarot that humans could be reliable and that training could be reinforcing. Watch video of Tarot from his first training sessions to his most recent and see how clicker training made a new life possible for him. This Session will include detailed explanations of core training principles and a deep look into LIMA (least intrusive, minimally aversive)—as both a philosophy AND a practice.